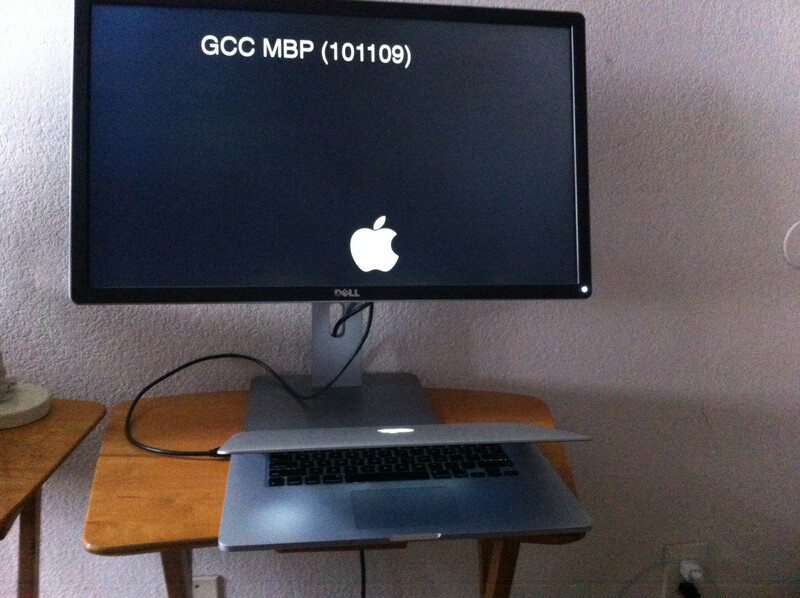 I have a Macbook Pro connected to a Dell P2714H IPS 27-Inch monitor. It connects with a mini display port to display port cable. (The monitor has only a large display port connector, it does not have a HDMI connector.) It works fine. This is a close up of the above mini display port to display port cable. It works fine. I would prefer to connect with HDMI. The reason is so that I can put my HDMI switch in the middle, and be able to switch the monitor to the macbook or windows pc. 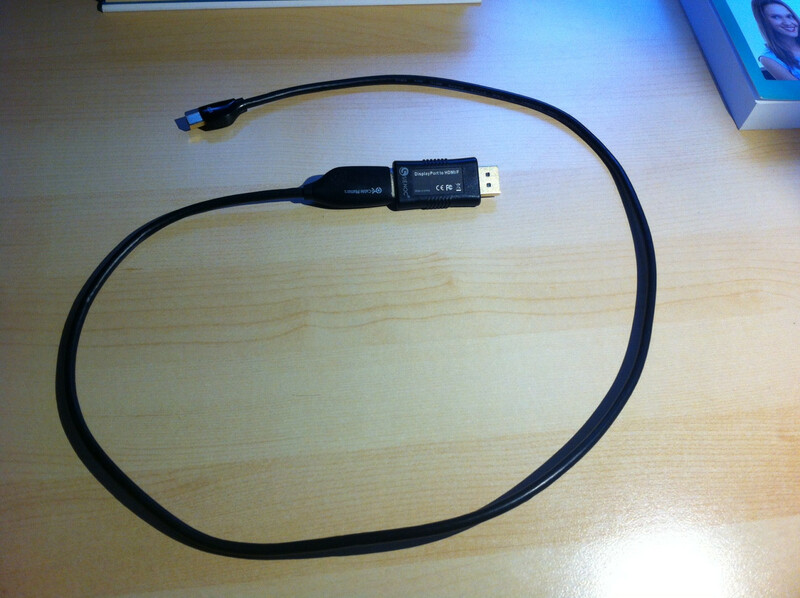 So I got a mini display port to HDMI cable + a HDMI to display port adapter. It does not work. It all seems to fit fine, but the monitor is blank. I wondered if the adapter is bad, so I got another one. It still does not work. Any ideas? Because it isn't an "HDMI to DP" adapter, but a "DP++ to HDMI" adapter, which picks (ONLY) the TMDS signal (what HDMI uses) output from a DP++ source to an HDMI sink (e.g. monitor). 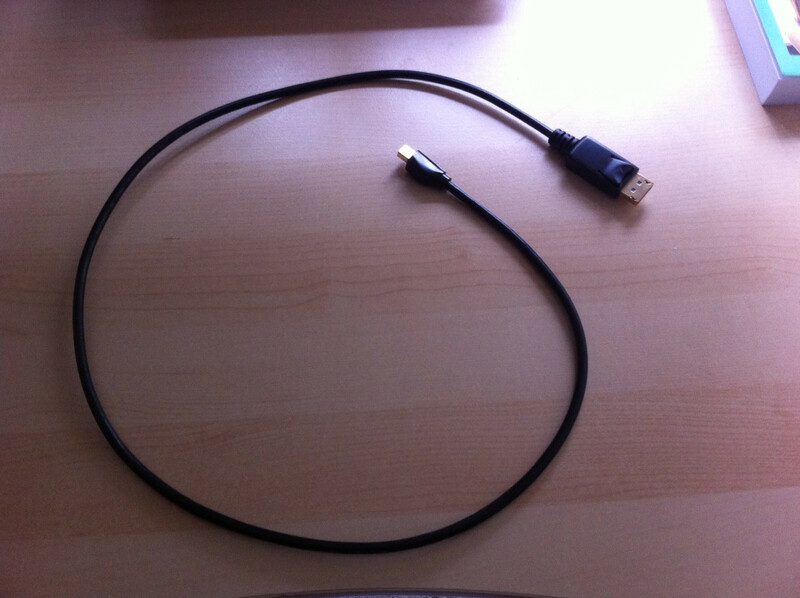 And this is pretty much an DP++ to HDMI "adapter" as well. And obviously it's only natural that it won't work. P.S. 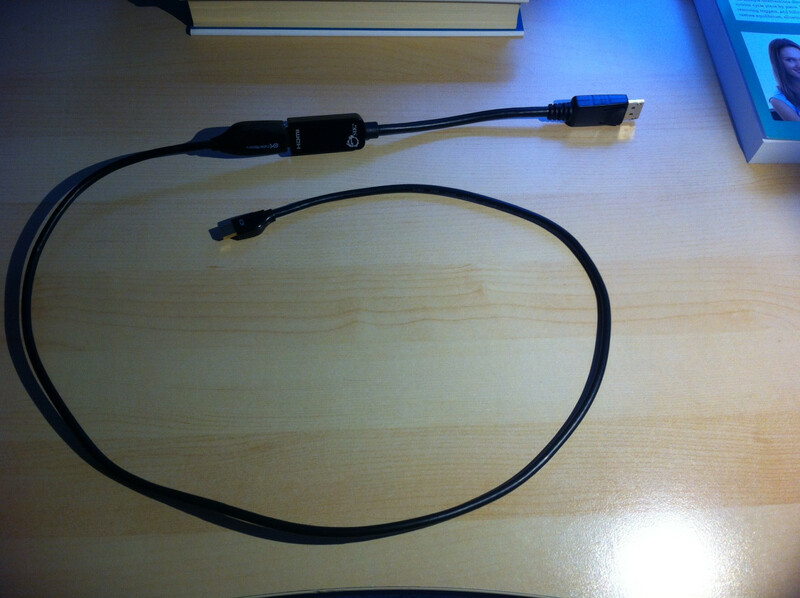 IF the mini-DP port of your Mac isn't a DP++ port (though it should be), your mini-DP to HDMI cable won't work either even if you connect the HDMI side directly to an HDMI monitor. In that case you will need an active (i.e. involves signal conversion) mini-DP to HDMI adapter. To convert HDMI/TMDS signal to DP signal "again", you will need an active HDMI to DP adapter (which seems to be rare). Not the answer you're looking for? Browse other questions tagged hdmi displayport adapter or ask your own question. Posible to use mini display to HDMI with HDMI splitter? Why doesn't using a combination of display adapters work, such as Mini DP -> HDMI -> VGA? Dose the display port daisy chain feature work if the last monitor in chain is an HDMI monitor ?